The first and the oldest (exhibition of waxes) is that of Citizen Curtius, boulevard du Temple [....]. The second is that of Citizen Orsy, sculptor, whose display is situated near the gate on the Boulevard St. Martin, in the old Opera auditorium. He models first in clay, then in marble or wax, from life, from a painting or a drawing. His figures stand out through the truth of their depiction and the naturalness of their attitudes. The other displays of this type that may exist in Paris are imitations of these two, and thus cannot interest the amateur. Thanks to Madame Tussaud, Curtius remains a well-known figure, whilst other wax artists of the late 18th century have fallen into almost complete oblivion. Recently rescued from neglect is Curtius's principal rival during the Revolutionary years, the Piedmontese artist Francesco Orso ( François Orsy). Orso has been the particular study of Andreas Daninos, historian and expert on the art of wax modelling. 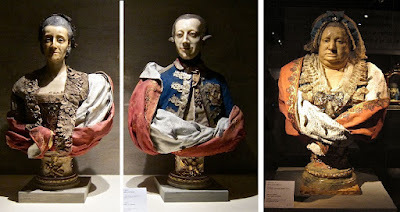 In 2012 Daninos curated an exhibition of Italian life size wax figures at the Fortuny Museum in Venice, which included several splendid (if rather scary) models created by Orsy for the court of Savoy at Turin before his departure for France. 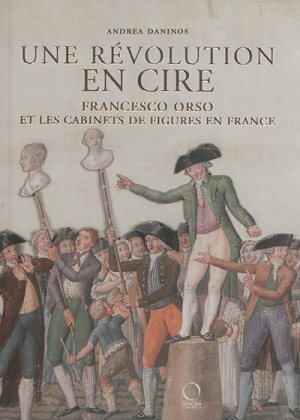 In 2016 Andrea Daninos published Une Révolution en cire, a detailed history of early wax exhibitions in France, together with a catalogue raisonné of Orso's work. According to Daninos, Orso arrived in Paris from Turin in early 1785, probably drawn by the prospective patronage of the comtesse de Provence and comtesse d'Artois, the two daughters of Victor-Amédée III of Savoy. 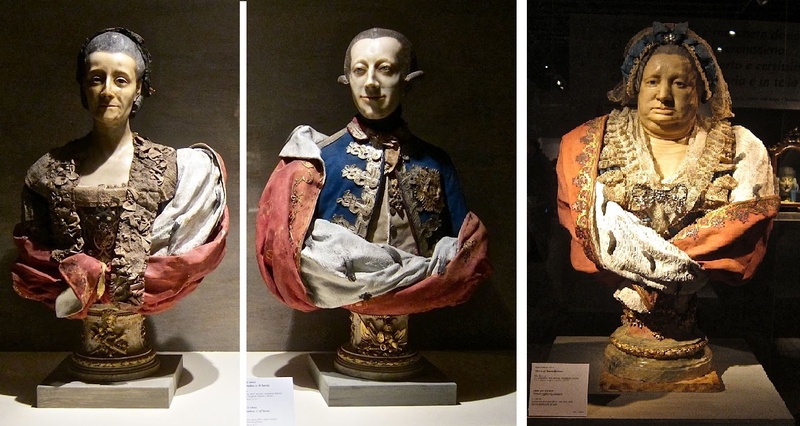 His wax portraits of the comtesse d'Artois's two sons, the duc d'Angoulême and the duc de Berry, were exhibited in December 1785 in the Salon de la Correspondance and sent to the court in Turin the following year. He continued to exhibit in the years which followed and in 1788 received 4,100 livres for a commission from the comtesse de Provence. The Revolution clearly destroyed Orso's courtly patronage and forced him to seek new sources of income. 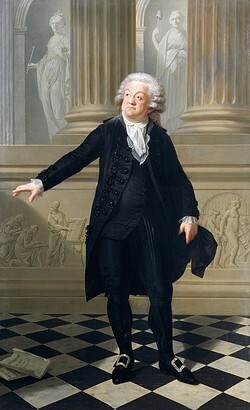 His first surviving appearance in the world of commercial waxworks dates from June 1791 when he advertised viewings of a life-sized wax effigy of Mirabeau, modelled after the well-known portrait by Boze. The entrance fee was a comparatively high 24 sous. The figure was housed in a specially constructed wooden building close to the seat of the National Assembly in the Manège, a site Orso continued to occupy until November 1793 when he moved into two adjoining boutiques in the Palais-Royal arcades. By 1797 Orso had moved his show to one of the rotundas in the garden of the Palais-Royal, and in late 1798 he too moved out altogether, to premises in the Boulevard Saint-Martin, not far from the cabinet of Curtius. He died on 21st November 1799 and at this point his business disappears from history. Orso was always a versatile artist who worked in clay and marble as well as wax. The inventory of his salon at his death shows that at this time he preferred allegorical and genre scenes over the wax likenesses associated with Curtius. The only wax by Orso to survive from his time in France is a tableau featuring small-scale figures of Voltaire, Rousseau and Franklin in the Musée Révolution française,Vizille (Daninos, Catalogue no.9, p.101). The wooden frame measures 89cm x 85cm x 60cm. The spiritual fathers of the Revolution are placed in a natural country setting. Rousseau is writing Émile with a young boy, no doubt Émile himself, seated beside him; a young black girl sits beside Franklin. The piece is signed ORSO and probably dates from 1790, the year of Franklin's death, or shortly after. The group was acquired by the museum in 1987 from a private collection in Paris. The clothes are not original. It may have originally been part of Orso's public exhibition, but it could equally well have been a private commission. The composition recalls the grouping of Voltaire, Rousseau and Franklin seen by Mrs Cradock at Curtius's cabinet in the Foire St-Germain in 1784. Andrea Daninos, Une Révolution en cire (2016), p.57-72; p.101. "Waxing eloquent: Italian portrait figures in wax", Exhibition at the Fortuny Museum, Venice, 10 March – 25 June 2012, Enfilade, post of 5.3.12.